I've been leaking tunes from this album on episodes 64, 68, 69, and there'll be another on ep. 76, but now it's available in its entirety. 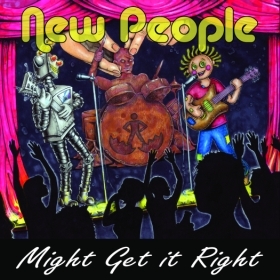 You can download a few mp3s for free from newpeopleband.com, and buy the CD or mp3s there as well. 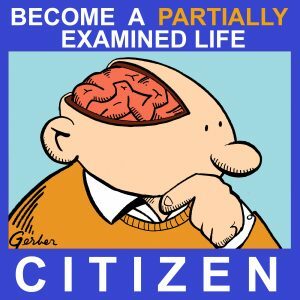 I'm also making the album entirely free for PEL Citizens (on the Free Stuff page), so go sign up and you'll get it and the previous two albums. 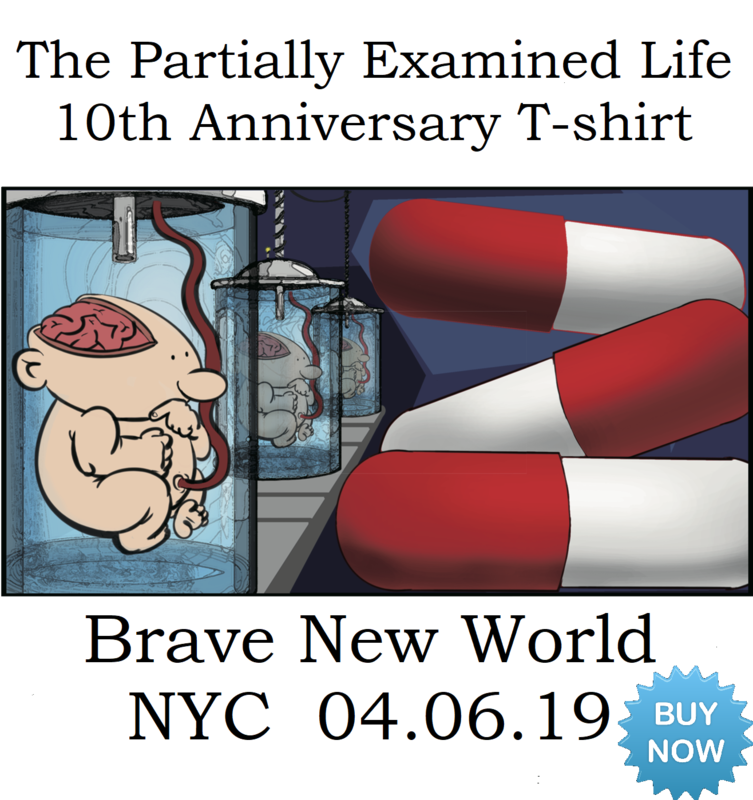 Yes, you can also get the mp3s on iTunes and CDBaby, and since CDBaby farms it out to Amazon and Spotify and a couple dozen other places, it should be widely findable within a week or two. However, unless you actually buy it directly from me off of my website, it'll be months and months before we see only a pretty meager portion of your purchase price, so I encourage you to do that even though it will be SLIGHTLY less convenient than just getting it off of iTunes through your phone or something. For the next week, anyone who buys the new album off the site will also get free mp3s for our first album "The Easy Thing." Note that when you purchase there, it sends an email to me, who will then respond back within the day directing you to the mp3s (whereas if you become a Citizen then you needn't wait on me). These three New People albums represent the only recordings released in my long career that I've actually put money directly into (as opposed to merely spending a lot on equipment and recording at home). Not a lot of money, mind you: we still record the main tracks in a basement, so we can take all the time we want with them (We took about a year to record this one, with no gigging to speak of to break up the process, though we were hardly consistent in pushing it forward every week, given the rise of this podcast to take up my time and moreso Matt the guitarist, who spends the most time on his many parts, becoming a new dad pretty recently. ), but then we take them into a real studio (Paradyme Productions in Madison) where Jake Johnson, who we've worked with on all three albums, spends maybe 3-4 hours on each song editing and tweaking, such that apart from the fact that our mics don't cost $3000 each, it sounds just as good as if we did the whole thing in the studio. (We actually tested this with the first album, recording two tracks entirely in studio, and they really don't sound substantially better than the rest of that album.) It helps that we've now gotten better at tracking ourselves, as well as at doing a some of the processing (pitch correction, EQing and such) before we send the tracks to Jake. I'm told that the new album is our best yet, and certainly Matt's songs (he writes half, I write half) are the most consistently among his output (he's a long-time musician nearly as old as I am, but this band, started in 2006, was his first real singer-songwriter foray, and he's really blossomed, whereas I feel like most of my creative evolution happened some time in the 90s). I have no objectivity about my own tunes, but I think this is a pretty good batch too. Among them is actually our only thoroughgoing co-writing effort (as opposed to me just changing some of his lyrics or him adding a chord or two to make one of my songs more interesting), called "Local," which came out of a session in 2006 before we had a drummer and were just hanging out, which is really the foundation for this band, as opposed to my earlier efforts that had something closer to professional and/or innovative-artsy aspirations. Click here to listen to the song. In that session we came up with main section music and the bridge, which is the turnaround at the very end of the song, then the recording we made at that point with us just singing "la la la" over it sat on my ipod for five years or so before I revived it, wrote some words, haggled more with Matt about the chord progression that resulted in the current chorus and the second half of the verse, and eventually, it became an actual song, one that vents my ongoing resentment about my non-relationship to my local music scene, pretty much whatever town I've lived in. Finally, as someone over 40 with any pressure to "make it" all drained out of me, it's just funny instead of sad. I must credit this podcast, too, for giving me something of a substitute performing/semi-artistic endeavor; throughout my 20s and even some of my 30s, I really thought of myself as a musician first, that this was my mission and the only thing I would really enjoy as a career/life-filler, but now I can comfortably say that the music is something I do, not so much who I am. It's hard to claim to be a songwriter by profession when for the past decade I only write maybe half-a-dozen tunes a year. Luckily, I guess, I have enough tunes built up from earlier times, nearly all of which were recorded in less than ideal conditions or often not recorded (or at least finished) at all, that I have plenty to draw on... the song "Celebrity" from our Lucy episode was actually penned back in 1997 (here's the original, trippy solo recording, and here's a transposed solo demo from 2009 that I used to pitch it to the band... with rather more elaborate backing vocals than we ended up going with). The rest are all fairly recent (demos for some are on my samples page). Matt's tunes are likewise mostly recent, but I did convince him to revive a tune called "Stone" rejected for recording for our first album together. It's got a heavier, angrier vibe than most of his more recent stuff, and he actually wrote it during college (the lyrics, with lots of angry beach imagery, make this sort of evident), so it's one of his first songs. Since we'd not been gigging as much since album #2, some of the songs on this one were from our live set, but some were introduced during the recording process, meaning we rehearsed them together a lot, but they hadn't been road-tested, and the backing vocal parts in particular (even for the ones we had played live) were written to various degrees while recording. This evolution paralleled our move from album #1 to #2, where Matt decided that he didn't have to approximately reproduce our live sound and instead could record as many damn guitars as he wanted. Also for the first album, Matt was pretty adamant that we use only the two-part harmonies that we did live, though I managed to sneak in a third part in a couple of places. This rule loosened up a lot for #2 when we added a Nate the singing drummer (you can hear him at the end of ep. 45), but we were often still just recording the now three-part harmonies we did live. For #3, the floodgates opened, and there are a couple of tracks with giant wall-of-sound vocals, some of them initiated by Matt, though I think we only used this effect in places where it was appropriate and still kept to two- and three-part harmonies (or less) in most places; we're not Queen, after all. Another innovation for us this time around is that we actually didn't finish some of the tunes. There are twelve songs on here (which is plenty to sit through, frankly, though I tend toward albums with more like 18), but I swear we recorded drums for #13 that got mysteriously misplaced and we didn't have time to redo them, and likewise one of Matt's that was recording parts right on top of a past solo recording of his that also had drums got shelved, and before that another one of my tunes (which has actually already been recorded for two previous albums in the 90s) that's been in our live set on and off since 2006 got shelved yet again. So wow, restraint: a new thing for me, and not one I'm all that comfortable with yet. Well, we've got a jump start on album #4, then, though we're thinking that the album format may be dead in this mp3 age and may just go for periodic EPs and one-off releases for the immediate future, which is pretty much what my solo recording career has turned into despite my having charted out and even titled a couple of never-released solo records over the last dozen years. It's about how we the people make ourselves, how we distract ourselves, how we see ourselves. These aren't songs about hitting rock bottom or partying all night, but about enjoying free moments, passing infatuation, getting nostalgic, indulging petty jealousy... about feeling unappreciated, disappointed, or left adrift. They're about trying to make yourself live up to expectations, about maintaining your long-term projects: about steadily, or not so steadily, pushing onward and upward. Thanks for reading, and for your continued tolerance of my putting whole songs at the end of episodes with sometimes little-to-no thematic connection to the preceding discussion (though I've been able to find synchronicities more often than not, I must say; themes tend to resonate, whatever the medium... and if we ever do a string of several episodes kvetching about ex-girlfriends, well, damn, I'll be set to go!). I rather enjoy your songs at the end of episodes. So no need to apologize. Rather than a discussion on ex-girlfriends, maybe you could do an episode on creativity. You’re a bunch of creative people, more creative than most academic philosophers, as far as I can see. That is, people able to make new and illuminating connections between ideas or things that are not connected in the standard discourse about those ideas and things and you do that very rapidly.